Egypt: Is It Safe to Go There? Whenever I tell friends and family that I’m planning another trip to Egypt, one of the first questions they ask is, “Is it safe to go there?” I’d like to share my thoughts on that. Many years ago, in the U.S., there was a series of attacks on European tourists in Florida. Around that time, my employer was organizing a business meeting in California. My European colleagues told me that they were afraid to come to the meeting because the U.S. was unsafe for European visitors. I was shocked by this comment. Florida was 3,000 miles (4,900 km) away from California where we were planning to hold our meeting. I couldn’t understand why Europeans would think events in Florida would have any relation at all to California. But now, I see that these fears are very common. That’s exactly the same thought process people in North America use when they say they’re afraid to go to Egypt. When bad things happen somewhere, news media will report on them. The more dramatic or painful the story, the more likely it will be reported in news media around the world. We see the stories about the exceptions, not the normal everyday situation. Headlines such as “Another Peaceful Day in Cairo” don’t draw readers, whereas news of a violent incident does. The Gallup Global Law and Order poll in 2018 showed that the people it surveyed ranked Egypt as the 16th safest country in the world, compared to the USA, which was ranked at 35. The poll asked whether people felt safe walking at night, and whether they had been victims of crime. I live in a somewhat small city in the U.S., a metropolitan area of only 171,000 people. In 1991, we had an incident in which a shooter killed 5 people before killing himself. In 2018, a man kidnapped and killed Mollie Tibbetts at Brooklyn, Iowa, a town whose population is under 2,000. Clearly, staying home is no guarantee of safety. Whenever I go anywhere as a tourist, I tend to exercise more caution than I do at home. At home, I am very familiar with what level of safety precautions are typically needed. When I travel, I’m less familiar with the area, so it seems sensible to take extra care. This is true regardless of whether I’m going to Cairo, San Francisco, or any other place. 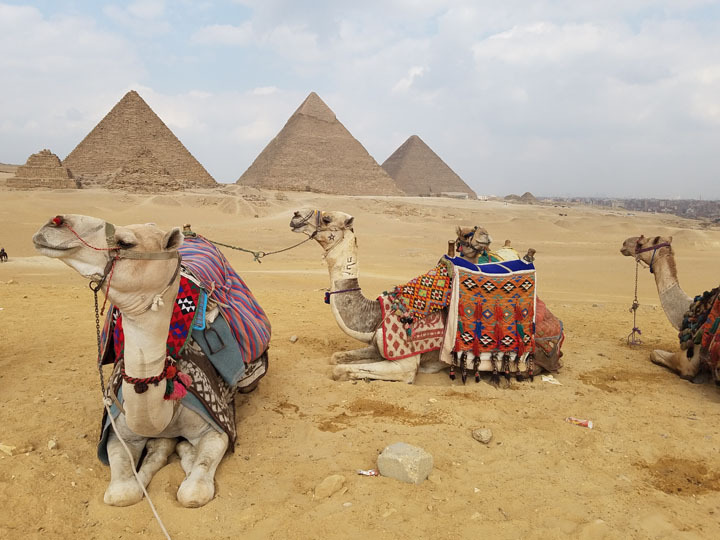 Even though I tend to stay alert to personal safety issues and avoid taking unnecessary risks when I travel, I do feel safe when I go to Egypt. If I stayed home, there’d still be some risk of car accidents, violence, tornadoes, an unexpected health problem, and other dangers. Safety is not guaranteed anywhere. Therefore, I choose to embrace travel to Egypt, a country I have come to love. Author JewelPosted on September 16, 2018 September 26, 2018 Categories Egypt, MusingsTags Egypt, Gallup, poll, safe, safety1 Comment on Egypt: Is It Safe to Go There?